Concentration has been defined as "the ability to direct one's thinking in whatever direction one would intend". Poor concentration yields poor results. And achieving poor results causes us to worry about why things are not happening the way we wished. This reflects in our performance in other tasks as well. Not just that, this vicious circle causes strain in relationships leading to irritability and anger. 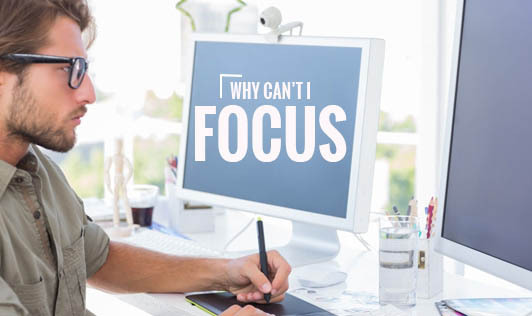 There are a number of physiological and emotional factors that are responsible for lack of concentration. People with attention deficit normally have extremely active minds that make them lose focus very often. Technology overload leads to unnecessary distraction. Find out which conditions affect your concentration and deal with them systematically to improve your focus.